When it comes to cafés in Christchurch, we’re a lucky bunch. Because let's face it—a life with smashed avo or bacon and three cups of coffee is just better. And, we have an excellent assortment scattered throughout the city from the CBD to Sydenham and Riccarton, and everywhere in between. Here is where to find the best cafes in Christchurch. 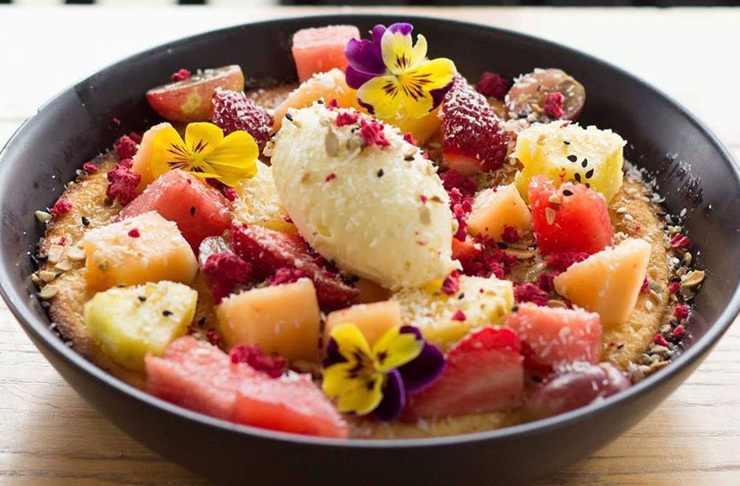 With one of the best and most interesting menus in the city, Hello Sunday has been a mainstay in the Christchurch brunch scene since opening in 2015. From lighter options like peach and nectarine bircher to the more indulgent beef cheek hash and Mexican fried chicken burger, the menu is constantly changing but always tasty. Formerly a post office and then a church, this beautiful Sydenham cafe is the kind of place you’ll want to take your mum, your grandma, your best friend and all your out-of-town visitors, it’s just that good. Relatively new on the scene, Miro in the pink Midland Building, is the Chur’s go-to for its extensive and delicious menu. Think colourful smoothie bowls, delicious eggs benedict served on hash and AllPress coffee to wash it all down. Formerly known as Cafe Roma, the Midland Building has ample outdoor seating overlooking the Avon River. It is an ideal spot for people watching over your poached eggs. Sitting on the corner of Riccarton Road, a visit to Park Ranger will make you feel as though you’re at summer camp, minus the mosquito bites. The leafy space offers respite from the busy suburb and serves up both indulgent and wholesome breakfast options. 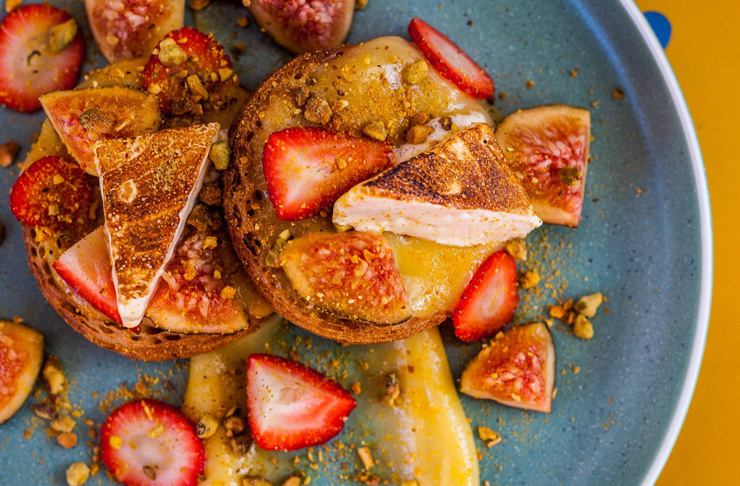 We recommend tucking into the sweet loaded toast, the acai bowl or the Goodness Bowl, filled with all those healthy greens and balanced with halloumi and a poached egg for good measure. If you’re looking for one of the best cafes in Christchurch, you can’t go wrong with Uncommon Café on Tuam Street. 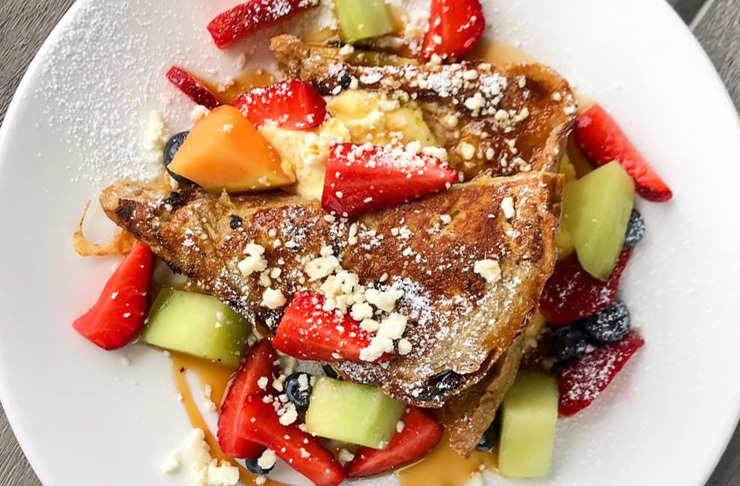 With coffee by C4 and dishes that are always changing, we’re suckers for their ‘gram worthy hotcakes and decadent French toast. Their breakfast boards are perfect for those who can never make up their minds. They also have plenty of excellent savoury options including our favourite, For the Dads. Centrally located, Uncommon’s a popular weekday and weekend spot. On the east side of St. Asaph Street, you’ll find Kadett, a light and airy space inspired by both Japanese and Scandinavian design—it’s one of the best cafes in Christchurch. With free wifi, excellent coffee and light lunches, this is the cafe of choice for freelancers and creative types. Their kimchi toasties and vibrant salads are absolutely delicious and they’ve got the best matcha lattes in town. Top it off with a cake by Anna and you’ll never want to leave. On the industrial end of Ferry Road, you’ll find Gentle Giant, a beautifully spacious cafe with undeniably tasty breakfast. Perfect for the summer months, their iced coffees are kept cold with espresso ice cubes and their cabinet food keeps us coming back for morning tea. Generous sandwiches and wholesome (you guessed it) grain bowls, make Grain Cafe and Eatery a go-to lunch spot on the otherwise nondescript, Southwark Street. Start your morning off with a coffee made with Allpress beans or cold pressed juice from the legends at Greenroots cold-pressed juices. For those feeling a bit more indulgent, their cheese scones are arguably the best in the city. 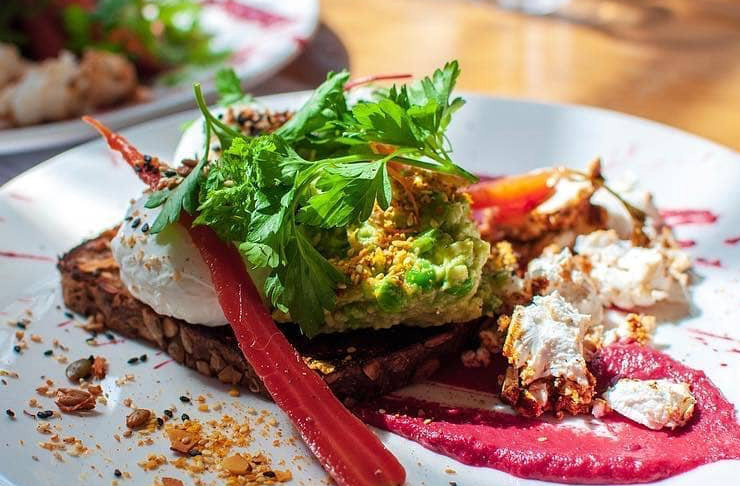 A true Christchurch institution, Little Poms is a stylishly cosy spot for brunch. Serving up all your favourite brunch staples with a seasonal twist, it’s the kind of place you’ll want to return to again and again. Sharing a building with their older brother, Pomeroy’s, you’ll also find a selection of craft beer and wine available. If you like your brunch with cocktails, their mimosas and bloody Marys are both worth trying. You can expect both great coffee and views at this unconventional Lyttelton cafe. With a focus on sustainability and community, Lyttelton Coffee Company has been roasting and serving coffee since 2007. Here, you can expect a chalkboard menu full of classic breakfast options served alongside some of the best coffee in the city. Ten27 might just be Ferrymead’s best-kept secret. Set among the big box stores that line Ferry Road, this spacious cafe houses two courtyards. On the menu, you’ll find innovative dishes like the vegetarian brunch plate, which consists of crispy polenta, halloumi, avocado and spinach and the savoury French toast. The interior is polished and filled with gorgeous furniture from homeware store, Casual and Country with which it shares its premises. Not your typical cafe, The Origin’s menu is 100% vegetarian, but that doesn’t mean it compromises on flavour. 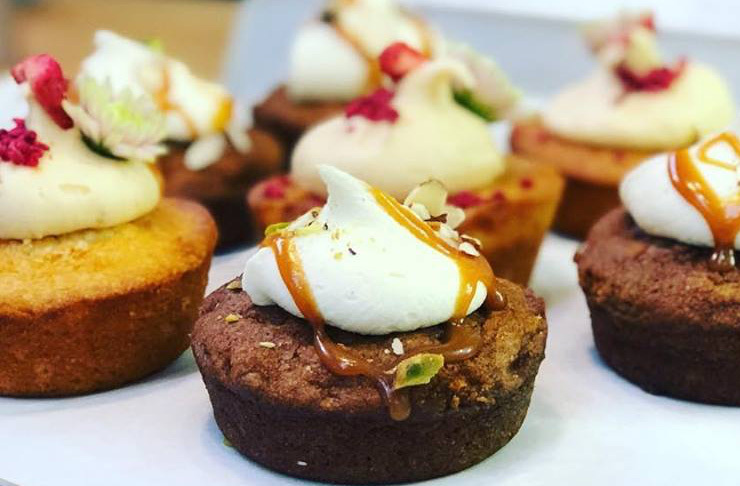 The St. Albans cafe serves some of the city’s most beautifully presented and delicious dishes plus New Zealand-grown organic tea and speciality coffee. The small menu is filled with sweet and savoury options ranging from pancakes to dumplings and is one of the best cafes in Christchurch.